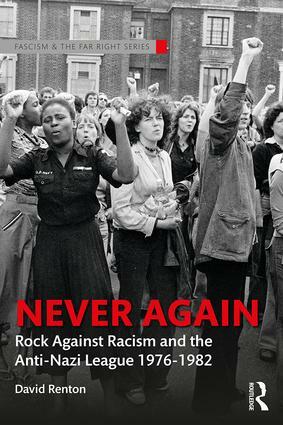 "The publication of Never Again comes at a time when the extreme right wing that RAR and the ANL were set up to oppose are on the march again.In this sense, it is an important means of taking stock." Neil Cooper, The Herald. David Renton is a British barrister, historian and author. His previous books include Fascism: Theory and Practice (1999), Fascism, Anti-Fascism and Britain in the 1940s (2000), This Rough Game: Fascism and Anti-Fascism (2001), British Fascism, the Labour Movement and the State (2004, with Nigel Copsey) and When We Touched the Sky: The Anti-Nazi League 1977–1981 (2006).